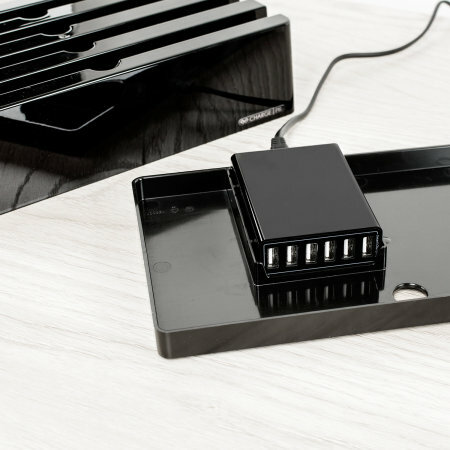 The Charge Pit 6-Port Universal Charging Station in piano black is a perfect solution for charging multiple devices at home or at the office. It can fast charge up to six Apple or Android devices simultaneously with its 10A high output. I have about 5-6 things of various size that need charging with different wires. This box looks good, holds thick and thin devices, is very easy to set up and I now have two, one at home and one at work. Just a very neat solution to a perennial curse of modern life. Fantastic item, lived up to expectations. My only criticism was that the adapters that came with it were for the UK, so had to purchase one for Australia. 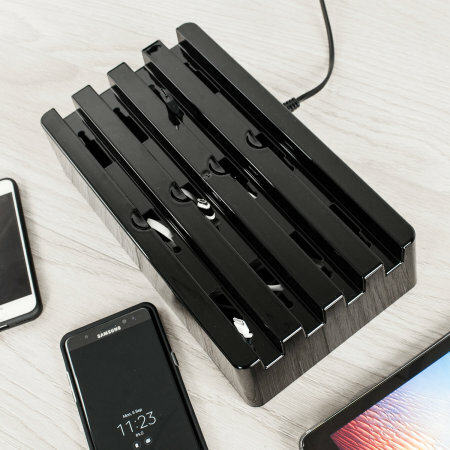 The Charge Pit has built-in technology that allows for wider device compatibility. It auto adapts to charge your iPad, iPhone, Samsung Tab and all iOS and Android devices. 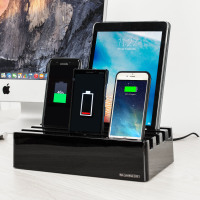 The Charge Pit 6-Port Universal Charging Station features fast charging technology, with a 10A high charging current output making it ideal for charging tablets and smartphones. With 6 USB charging ports, the Charge Pit 6-Port Universal Charging Station can charge six devices simultaneously. All of this is powered by one mains power socket in your home or office. 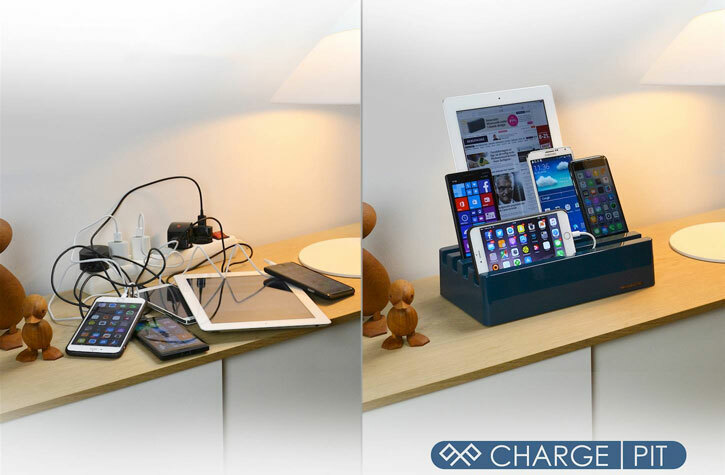 With the Charge Pit you can add your own cables no matter what device you have! Simply lift up the case and connect the wires you need, then place it back down again. Use up to 6 different cables. Please note: images for demonstration purposes only. 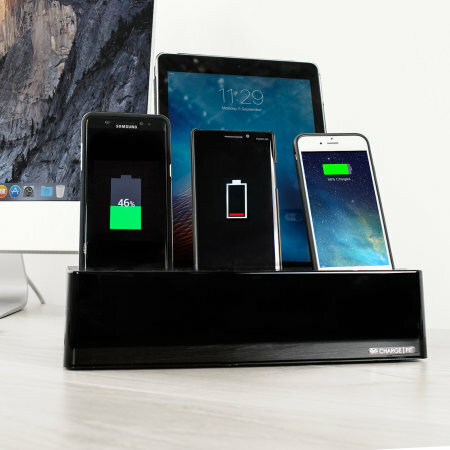 Not only does the Charge Pit 6-Port Universal Charging Station keep all of your devices fully charged, it also looks good doing so. 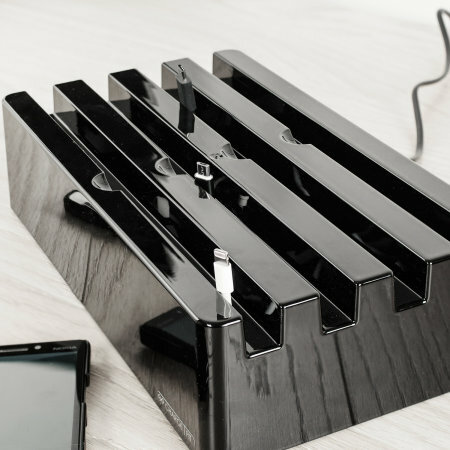 The base unit has integrated stands that hold your tablets and smartphones while they're charging. If you or your family have multiple electronic devices, you've probably got a mess of tangled wires you have to pick your way through every time you want to charge your phone or tablet. 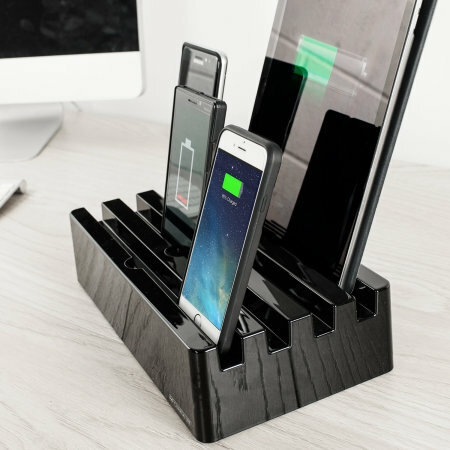 With the Charge Pit 6-Port Universal Charging Station you can forget about the mess that owning multiple cables causes. 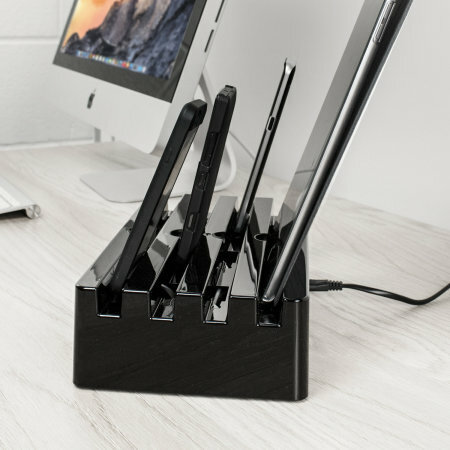 The Charge Pit 6-Port Universal Charging Station lets you charge multiple devices at once from one station, so you can keep all the cables organised. With the included hook and loop fastener strips, you can manage your cables and keep them hidden underneath, so you'll always have a tidy desk or table top.